SACOME sponsorship is a member-only opportunity that enables strategic engagement across the resources sector. It is financial recognition of the great work that SACOME does, over and above membership. 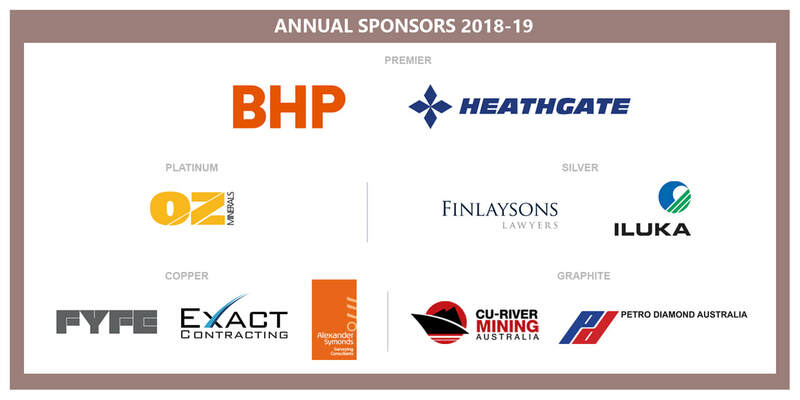 Sponsorship provides smart brand positioning, aligning your company to South Australia's leading industry body for the resources sector. SACOME offers both annual sponsorship and event sponsorship, with both opportunities providing unique and far-reaching brand exposure. If you are interested in becoming a SACOME sponsor, please e-mail us.